If you ever hear anyone say that a tactic is a strategy – run for the hills. Try this, google strategies and you will also see lists of tactics. There is often nothing that supports the reasoning behind them; just a list of them without any direction, reasoning or meaning. The biggest mistake brands can make is developing tactics before strategies. Often times, what I have found is that there are agencies, marketers and other professionals in the industry that create the tactics that they are going to execute first (tactics such as website, email, TV, direct mail, etc.) and then back it up into a strategy; this is a huge fail. When has backing into anything become a way to move forward? Would you ever just get into your car and start driving without knowing where you are going? Without a plan, you plan to fail. So many marketing campaigns and initiatives go awry (fail) because they backed into a strategy; they did not have plan first – they (by default) started with the What, then they may have some support for the How and very few, if any, had any Why. So often these types of initiatives fail; there was never a marketing strategy plan in place that outlined and defined these important guidelines that defined these critical aspects and also included desired outcome (goals and objectives) and truly knows if it worked and was successul (key performance indicators and success metrics). How do you know where you want to go if you don’t have a plan to get there? Start with WHY? What problem does your product/service solve? What is the purpose that your product/service serves? Why is this important to you/your brand? What do you believe in? What are your core values? What does your brand stand for? What is going to motivate someone to seek you out or why would they want what you have to offer? Why should your audience trust you; build a relationship with you? Next, focus on HOW? Define what the plan of action looks like to take your Why and bring it to life. What does your process look like from idea to delivery? How is your brand unique and better than what else is currently available in the marketplace? 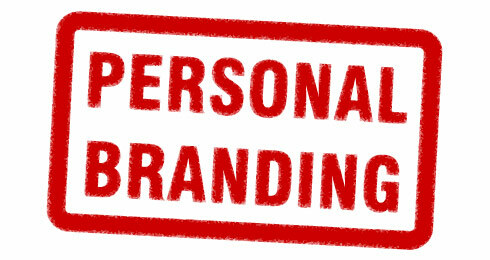 What are the most important attributes of your core brand? How will your convictions be translated into your brand? How will your customers perceive you? What perception are you trying to convey? What do you want your audience to feel about your brand? Next, focus on WHAT? This is your product or service broken down to its essence. The features and benefits that tout what it can do. The price offered and the value it offers the user. How you are going to promote it (and this is probably a laundry list – that needs to be efficient, effective and fast to market)? Where is your audience(s) at (hint: this is where you will want to be). Next, focus on WHO? If you don’t know who your target audience is, you better stop here; this could be another fail if you don’t assess before you act. Your target markets are more than just names or segments; they make up multiple types of demographics, psychographics, buying behaviors, personality types, different lifestyles, unique interests, etc. Often times there is more than one ideal audience, so define them by providing and describing your idea clients. If you are not sure of who your ideal clients are, use your existing customers (case studies) to create their own unique categories; you will start to see some patterns; some will fall to the bottom while others will rise to the top. Now name each segment and put them into buckets and prioritize them accordingly from best to worst clients. It is critical that you prioritize your segments; not everyone is an ideal prospect and none of them are created equal. Treat your new audience collectively with one brand voice; promote to them separately as they have different wants and needs and will use you in different ways. Once you have established some of the key components above, you will have started to build out your marketing strategy. There is much strategy development and planning you do upfront; once you have sweated through some of this soul searching – the hard part will be over. Then, once you have the right (and complete) strategy in place; tactics will be defined that align with your approach (some will fit perfectly, others not so much – prioritize these too, just like your audience). Because tactics are much easier to figure out than Strategy (you can create lists that go on pretty much forever); that is often why many in the industry start there first – big mistake for everyone and every brand involved. Now you see Why (no pun intended) it’s key to your brand success to start with strategy? If you have questions about your Why and need to take pause to reflect, we can help! We would love to help you identify and define your Why and get you on the road to greatness – Marketing strategy at its best! Need a LIFT? Let’s talk.